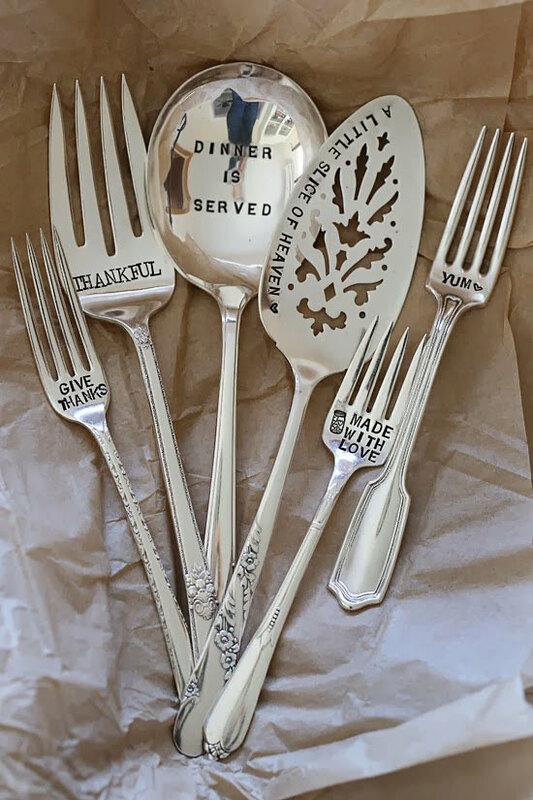 i love it when someone asks me what's for dinner and i have an answer! i feel so accomplished and prepared! even better when the food is prepped and i've remembered to thaw the meat or put it in the crockpot. but when i hear "what's for dinner?" and i don't have an answer? it's the worst! i feel like a total slacker and failure, and why are you always hungry?! ;) as it turns out, my people like to eat dinner every night. i used to be so good at menu planning - and blogging about it! (and apparently i need to read and heed my own advice for sticking to meal planning!) i'm not as consistent at it as i used to be but i'm trying, because it really makes my life so much easier when i have a week of dinners planned in advance. the recipes vary week to week, based on the "theme" of the night. the "themes" are pretty much a given, and make it super easy to put together a menu. all i have to do is find recipes to fit the theme of each night. it's a dinner meal planning hack! my crockpot is my bestest friend on monday nights. mondays are currently the nights when we get home from kids' extra activities well past our regular dinner time, so it's nice to have dinner ready and waiting. my favorite sources for crockpot recipes is Make it Fast, Cook it Slow by Stephanie O'Dea, and by searching #crockpot on Instagram. tuesdays are taco tuesdays, duh. but it's not always tacos. it's always some variation of easy Tex-Mex: taco salads, enchiladas, burritos, nachos. basically anything that goes good with chips and salsa because let's be honest that's the real star of the show. on wednesdays i alternate between Asian food and Italian food. my family's favorites are chicken and veggie stir-fry, orange chicken, and honey seared chicken, served with rice. or, if it's an Italian week wednesday, i'll make zoodles, veggie pasta, turkey meatballs, spaghetti squash, or homemade pizza. thursdays are our family date nights and we go out to eat. this is something we started doing years ago, when our kids were very young, because we realized 2 things: by thursday i'm done cooking, and restaurants are considerably less crowded on thursdays than they are on fridays. we all look forward to thursday nights because it's good quality family face time. plus no cooking and no dishes to wash.
because sometimes we have plans and sometimes we don't, i like to keep friday night dinners easy peasy. if we don't have plans and we are eating dinner at home, i'll make sandwiches or breakfast for dinner, nachos (if we didn't have them on tuesday), or something from the freezer like chicken pot pies. the key here is to always have miscellaneous ingredients on hand to throw something together quickly. otherwise, it's leftover buffet! or pantry challenge! having this go-to menu makes it easier (and more fun) to try new recipes, takes most of the guesswork out of figuring out what to make for dinner, and helps me be prepared for the dreaded WHAT'S FOR DINNER question. because let's face it: they're going to want dinner pretty much every night forever! 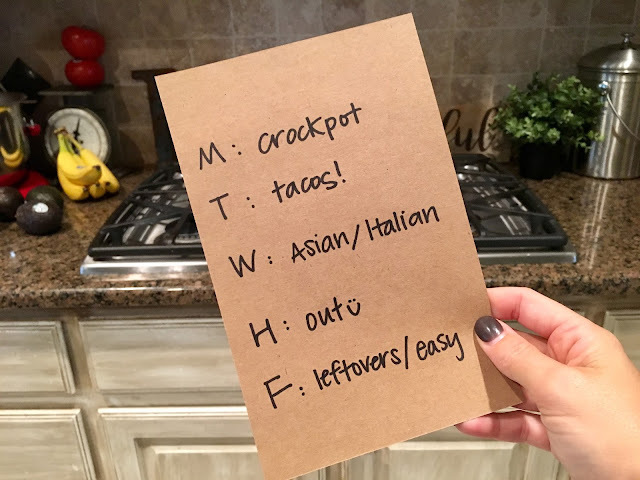 i might as well be prepared :) my go-to menu has been very helpful for my weekly meal planning, my family is well-fed, and that makes me happy! do you have a go-to menu? what are your meal planning hacks?